Photography and later cinematography played an important role in our family. My father recorded almost every important moment of our life with his super 8 mm camera. These films were not talking films and music also was given to the recordings later, though these frames mean to us more than words and, as time passes, they become more and more important. My films are very simple, romantic and emotional . I would like to keep aloof from the current trends and to make a really ageless film, which you can show your children and grandchildren proudly. In comparison with the long wedding day the ready films are of maximum 5 minutes with pleasant music. They focus on emotions, feelings and moods. 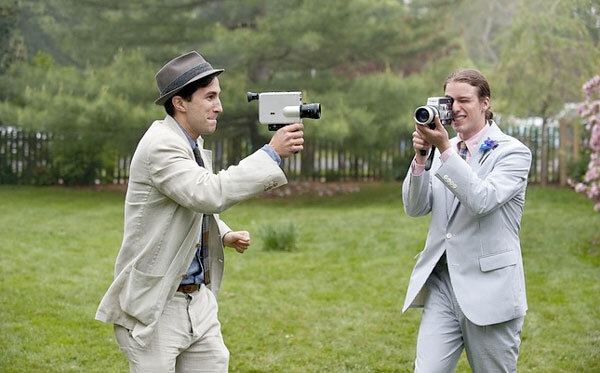 Wedding films can be ordered EXCLUSIVELY with wedding photography packages!! !